PAJO AS | We provide high quality printing services. The following story is a description of how a small family company evolved into a credible exporter within just a few decades. Pärnu Foto, an enterprise founded in 1993, offered photo services at first. But, because clients often also needed printing services, the company started to offer these as well. In 1997, a design firm named Kaks & Pool was established. The first large investment was a one colour A4 printing machine and the main focus became preparing and printing advertisements. Thanks to a good reputation, the enterprise quickly became well-known all over Estonia. Since the turn of the century, the variety in location of our customers has increased a lot and we have started to serve many more foreign clients. The biggest leap in development happened in 2004, when Ain Pajo, one of the owners of the company, decided to invest 16 million Estonian kroons into the development of a printing house. All of the technology was replaced with more modern machines, the quality of the new four colour printing machine allowed to offer services that were unavailable until then. The choice of products started to include business cards, labels, posters, calendars and a wide variety of other advertisement products. At that time, around 10 percent of all production was exported. A turnover of 12 million kroons was achieved with about 30 employees. Since 2006, the company has been known by the name AS Pajo. 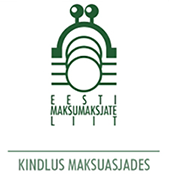 During Estonia’s financial crisis in the years 2007 to 2009, the company got a huge boost – with the support of the EAS programme, the company was able to purchase a bankrupt printing house’s equipment that included a complete set of printing and post-press machinery. The only remaining problem was the question of housing. Again, a solution presented itself – an open and large factory building was found in the town of Sindi. The sum of the investments was 38 million kroons. All of these upgrades allowed to improve the products in terms of format as well – from then on, the products could be as large as the B1 format. At the opening ceremony of the new printing house, Ain Pajo spoke about participating in EU’s market and since then, business has constantly been getting better. Improving productivity allowed to compete locally as well as internationally. In addition to quality, the company was now able to offer faster services and for a smaller price than before. The variety of services and production methods grew wider as well. Products that could be printed with these advancements included packages for medicines and foods, as well as advertisement products for shopping chains. New machinery was purchased in order to be able to bind catalogues, magazines and books. PUR-adhesive (reactive polyurethane) equipment ensured the products to be very durable and books to be bound less expensively, but more reliably. Digital quality assurance ensured that even the most demanding clients were satisfied. But the appetite grew and the company was curious to see how far productivity and export capacity could be pushed. This is why another investment was made in 2012 – with a technology loan from KredEx, Koening & Bauer’s most modern offset printing machine was purchased, with which printing productivity was doubled. A huge breakthrough was achieved in international business, as the costs of transporting large amounts of products was not as relevant any more as it was before. The number of employees has grown from 30 to 50 in ten years. In 2011 the company was awarded the title of best enterprise of Sindi.